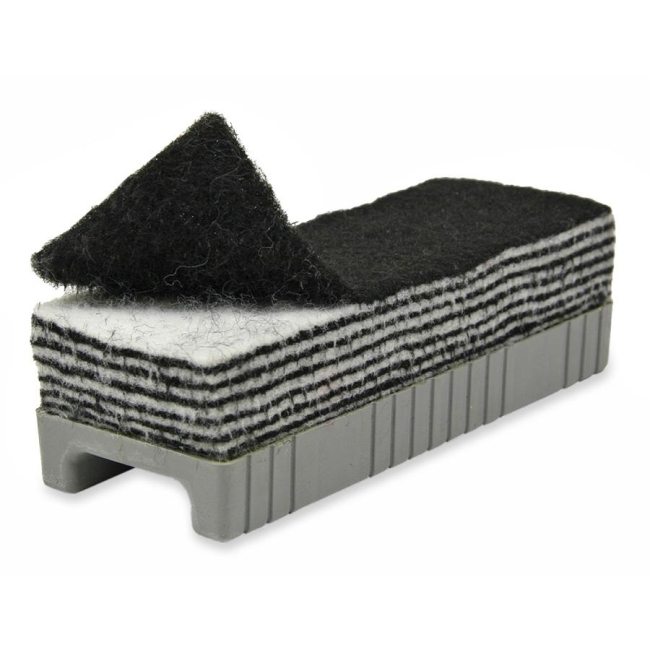 12-N-1 Whiteboard Eraser features 12 separate felt layers. When top surface is too soiled to erase, simply peel off for a fresh new felt erasing surface. Eraser offers a sturdy plastic holder for easy grip.